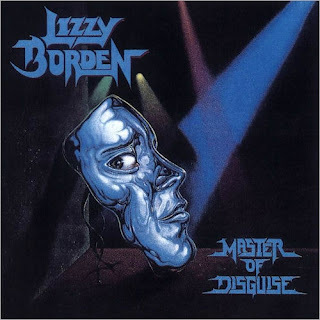 Lizzy Borden has been one of my metal idols for as long as I can remember. Because it's been quite some time since his last release, I wanted to catch up with Lizzy to see his plans for the future, as well as question him on the ever-so-slight line-up shift. 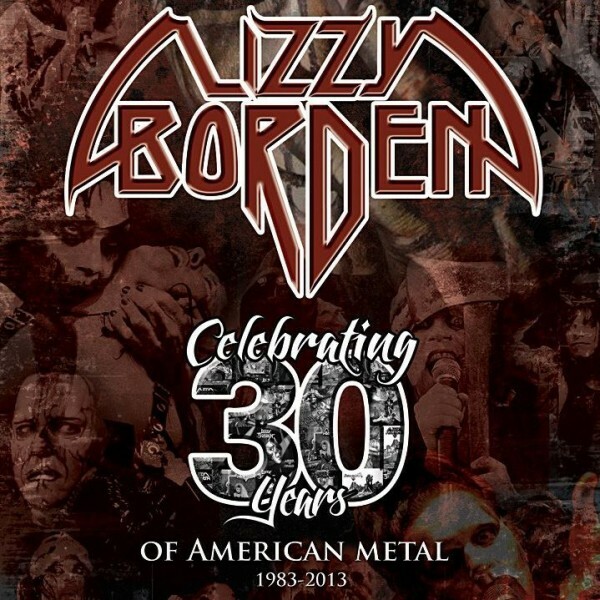 From Give 'em the Axe to Appointment with Death, The Metal Advisor talks Lizzy Borden's discography and musical development to uncover a few hidden secrets--who knew Lizzy hadn't fully realized his singing abilities until the end of the '80s? Have fun digging in. Let’s talk about what you have going on in the future, since your last release was about six years ago. Do you have a new album planned? Lizzy: Well, since the crash of the music industry, we’ve been waiting to try and find out how to put out records, and why to put out records, you know? It’s very difficult when you’re doing something that you’re putting out for essentially for free, when it takes so long and is a lot of work. I’ve been watching and waiting to see how other people are doing it. Some people are doing EPs, some people are trying to do the single, and some people keep putting out records that don’t sell. It’s one of those things where I’ve just been sitting back and watching. I feel no rush to put out any product because we’re still touring, and the last seven years have been our biggest touring thing we’ve ever done. We’ve played to more people in the last seven years than we have in the last 30 all together. I know that we’re playing to an especially younger audience who maybe have never seen us play before, so they want to hear songs they’ve heard before. We have to play a lot of catalog stuff. But having said all that, we’ve always been about putting out new music and about playing new music. When we put out an album, we play six or seven songs or sometimes eight songs off that record on the tour. We’re not like other bands where you put out an album and play one or two songs. It’s a huge commitment when releasing an album and playing on the album. Like I said, we’ve been playing a lot of places where we’re playing to a younger audience, and they only know the music that’s out there. 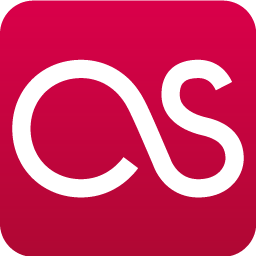 We’re happy to play the catalog for now—until we can see how we can make a new record and make it viable where people would be interested in buying it, even though they can get it for free. I'm definitely sad I missed the Appointment with Death tour because you played about half the album. Lizzy: Oh, more than half. That’s the way do it with every one. For Master of Disguise we played 90% of the album. And when we did Deal with the Devil, we played quite a few songs off the record. Well, all of them! Every album is not about playing two songs off the record and playing everything else. We don’t do it that way. If we release a record, we’re playing the record. But, you know, because of the crash of the industry, it’s hard to sell a record when you can get it for free. So, there’s a lot of work that goes into making a record: we put a lot of work into the artwork of Appointment with Death, hoping that would be an incentive to buy the actual physical record—as well as the songs and everything else, hoping that people would buy it online. And it did well, but the marketing was very weak. It’s a weird industry right now. No one knows what’s going on, and how it’s gonna go. I’ve been looking back, watching, and waiting, but I’m writing constantly. In the event that things turn around where I can put out a record and know that it’s gonna get marketed the right way, we’re going to do our best to get people to actually buy it, instead of just listening to it on YouTube or whatever. About the marketing: was that the result of poor promotion on Metal Blade’s part? Lizzy: That’s an issue right now for us because Metal Blade in the last 10 years has gone very extreme—most of their bands are extreme. We’re not an extreme band. Metal Blade’s fan base in and of itself is an extreme fan base, so when they shop every band on Metal Blade it all goes to the same sources. I end up doing interviews with death metal radio stations, and it just doesn’t make any sense. If it means finding another label then that’s what it means. There are so many different elements to what we’re doing that marketing’s such a huge part of it. Some labels get it. They understand that even though people aren’t buying records anymore, marketing’s even more important now. And marketing to the right audience. That’s kind of where we’re at right now trying to ensure that whatever we do is the right thing. When you brought Ira Black into the fold, your songs got beefier and chunkier. Taking a listen to Appointment with Death, it's quite a bit heavier than anything else you’ve done besides Give ‘em the Axe. To me, that's your heaviest release. Lizzy: A lot of it was in the mix. It was a multi-dimensional production, but Metal Blade wanted a one-dimensional mix. We ended up just using a guy that was really guitar heavy. 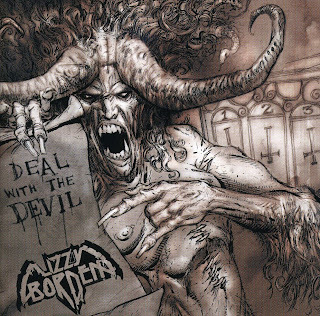 There were songs on Deal with the Devil that were probably heavier than anything we’ve ever done, like “The World is Mine” or a few of the other songs that were extremely heavy. But we didn’t turn up the guitars to make it that way. I always try and keep the records multi-dimensional, so every instrument is completely involved instead of just a guitar record. You could write a guitar record in a week. It doesn’t really take a lot to do that. It’s just the way Appointment was mixed to make it heavier, and it was louder than I would ever do it. You’ve been constantly touring to get your name out there, as well as attempting to appeal to younger fans. 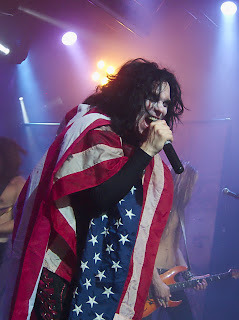 You’ve always been about the shock rock image and props on stage. How has your stage show evolved since the ‘80s? Lizzy: I’ve never really—maybe at the beginning—been into shocking people. I was just into the theatrics of it all. I wanted it to be interesting. All the bands I grew up on were interesting on stage. The ones who just stood there I didn’t really gravitate towards. As far as the theatrics and everything: we’ve done lots of different things. Really, all it is is trying to get the songs to translate into a visual medium. That’s all we’ve done throughout the years. The show in the last seven years is the best we’ve ever done, starting with the Appointment with Death show, and that’s evolved into a best of show. Now we’re doing the 30th Anniversary. The whole kind of thing has twisted and turned, and we’ve played so many festivals and played to so many different people that we got an idea of what people are responding to. I didn’t have that in the ‘80s when we played mostly theaters and clubs. You don’t really get an idea on what you can use like the lights and a lot of different things to do slower songs and have them still be interesting. But when you’re playing festivals, it’s a whole different animal. You have to get feedback. Otherwise, you have 80,000 people standing there. The songs that we end up getting the reaction to stay in the set. And the next show we alternate, and put some other songs in there and see how they work. We mix and match until what we have now, which is where almost every song gets a great reaction. That’s kind of how the show has evolved. The visual stuff comes and goes. I decide if I wanna do something we’ll put it together, and then I’ll do it for a while and I’ll do something else. And that’s what you’ve been doing with the image you’ve had since Appointment with Death. You know, the zombie look. Lizzy: That was just the Appointment with Death tour. That lasted for as long as the album lasted—for about a year maybe. We’ve gone on to several different looks. We did the Summer of Blood tour—that had a whole different visual. We did the Death Takes a Holiday tour—that had a whole different visual. Every tour we go after, we say, “Okay, this is our new segment.” We’ll have a new look for it as well. I haven’t had a chance to see you live, but I’ve seen relatively recent footage. I thought you had retained some of that look. Lizzy: I’ve always worn the stage make-up and everything. I’ve done that since day one. There’s a slight horror aspect to it, even though only one part of the show has blood in it. Everything else is different. But it’s always been stage make-up from the very first show on. We’ve always used props and different fun things like that. But for the most part, it’s about whatever show we’re doing, and we kind of design it that way. 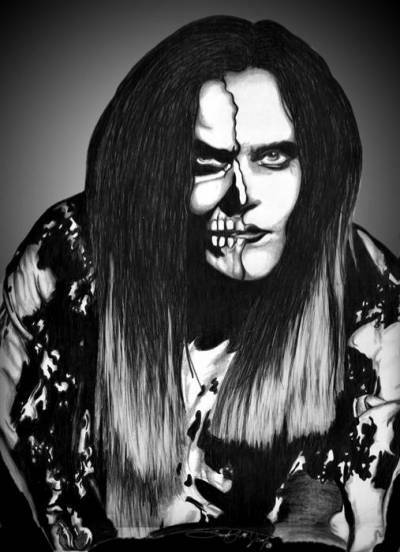 And the Appointment with Death show was about death, like the design of the clothes. Everything was designed around death. After that, we changed it up. Some shows are more fun than others. If it’s more fun then, of course, the clothes and even the set list is going to reflect that. With the death theme in mind, how do you feel about concept albums? From what I can gather you had some kind of timeline on Master of Disguise. Lizzy: I don’t do concept albums. I do conceptual albums because I can write a script for every one—and I usually do. I write an outline that ties all the songs together in some way. But I also want them to be individual. I want the songs to stand up on their own, and you don’t have to have a storyline to understand what the song is about. I kind of approach them from two angles. That’s why I call them conceptual records. With a concept record, you know every song is a piece of the story. I do that, too, but they also stand up on their own. A lot of concept records don’t stand up because it’s almost like a musical. But I do like some of them; I think they’re great. I always thought that I would do one, but now I don’t know that there’s that much interest in it. I love doing conceptual records. To me, that’s what I do. That’s what I’ve always done from Love You to Pieces all the way on. All the songs stand up on their own, but they’re all relatable to at least a main character or the theme. I kind of play within those boundaries. On the live subject: You added Dario in 2009. How have you liked working with him? Lizzy: Dario’s my favorite guitarist we’ve ever had because he plays a style of guitar I love. A lot of guitar players get wrapped up into “how many notes fit into this thing?” There’s no melody; there’s no nothing. Dario comes from a blues background, so he plays heavy metal with blues influence, which is the kind of guitar that I grew up on and I like. I love hearing every solo that he plays. 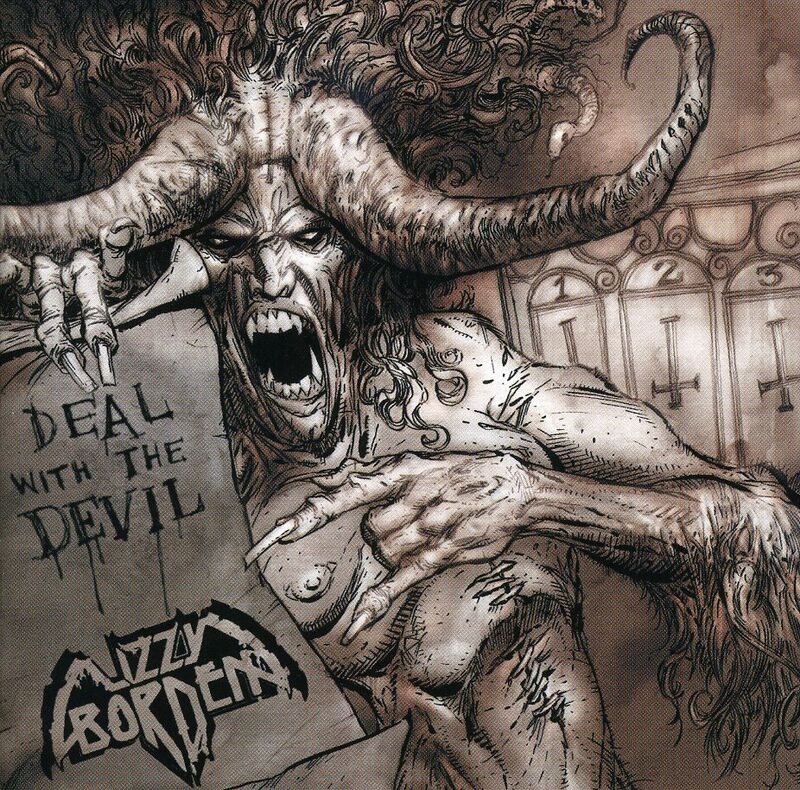 His interpretations of Lizzy Borden songs are great. He’s updating it, but not changing it too much. But he’s changing it enough to make it interesting in 2013. He’s the perfect addition. Let’s talk about your influences on that note. I assume Alice Cooper, Kiss, and similar bands influenced you? Lizzy: I bought everything. I had grown up on everything that I heard on the radio. But I really bought records from everybody. It didn’t matter. Singing-wise, I gravitated towards David Bowie, Ian Gillian, Glenn Hughes, and a whole bunch of others. I even bought opera records. I bought everything I could on singing. I was so interested in seeing how everyone else did it, and how I could apply my little ideas, you know? So, singing-wise I went and searched out all the great singers. Visual-wise, of course it was Kiss, Alice Cooper, David Bowie, The Tubes—anyone on stage that was interesting. But then I also loved all the punk records. I love the Ramones. I’m kind of wide-open. I’m spread out across the board. I love Cheap Trick—one of my favorite bands. I opened my mind to anything I came across. From your entire career, what album have you enjoyed recording most? I feel every artist has one golden spot in their discography. Lizzy: Well, we haven’t recorded it yet. I know every band has that record. AC/DC has Back in Black, Metallica has the black album—everyone has that record that they wouldn’t change one note and, sonically, it sounds great for everyone. It’s just one of those records. We haven’t done it yet, but Master of Disguise came close for me because it obviously became our most successful record. But it also broke down the barrier for me in the studio because I learned how to record. We had a great producer in there that taught me everything. Before that, I didn’t know anything. If there’s a record that I ever listen to all the time, it’s probably Deal with the Devil. That’s the one that if I’m gonna listen to anything I’ve done in the past, it’s always the Deal with the Devil record. We spent more time on Deal with the Devil than we’ve spent on any record we’ve ever done. I guess that’s why I liked it. It was as close to as good as we could get it at the time. In terms of the music on Deal with the Devil, the album has more variety than your other records. The dedication shows. Lizzy: Both Deal with the Devil and Master of Disguise are so different. Stuff on Master of Disguise is really epic with the orchestra. Then you go down to a song like “Waiting on the Wings” or “Under Your Skin,” which is an acoustic song. There are so many different varieties. But, yeah, on Deal with the Devil we did the same sort of thing. We wanted to try as many different types of songs as possible, which is probably not good [laughs]. Most bands that are successful have 10 songs that sound similar to each other. I usually pick 10 or 12 songs that don’t sound anything like each other [laughs]. It’s one of those things I like to do, but it’s probably not a good career move. Was the orchestra on Master of Disguise your idea? But he actually made it happen. It was out of my realm for the budget; I knew that we couldn’t do it, so I kind of took my mind away from it. But I wanted to do it, of course. I took it out of my mind because I knew Metal Blade’s budgets could never afford anything—barely even to get the record done. When my producer came in, he actually figured out a way to make it happen, AND to get it Grammy-inducted. He was a great prouder and was able to make water into wine. He was just amazing. What was the fan response to the orchestra like? Lizzy: At the time, it was a weird thing because we released it in ’89, which was the birth of grunge and garage rock and Gun n’ Roses. We came up with this polished orchestra thing, so it was bad timing to release a record. Plus, Metal Blade and Enigma got into a lawsuit and froze all of our records for five years. We were stuck trying to figure out what to do. And then after six or eight months, they moved Master of Disguise from that whole lawsuit over to Warner Brothers. By then, Warner Brothers lost interest, so it was a very difficult album, and it kind of got lost in this tidal wave of crap. But it was a good record. All of our records have had mixed reviews except for maybe Appointment with Death. That was the only one that had pretty straight reviews. We’ve always had mixed reviews, but all the great bands do. Rolling Stone, I think, hated every single Led Zeppelin record. Well, how have you kept your voice in tip-top shape over the years? You still sound fantastic today. Lizzy: Oh, thanks! I sing better now then I did back then. I don’t know what the answer is. When I started learning how to sing in the studio, I started working on my lower tones. In the early days, I was only singing live in the rehearsal studio, so I had to sing over guitars, bass, and all the stuff. I was signing in this register all the time because that was the only way to be heard—was to sing over of all that volume of music. Once I started spending a lot more time in the studio, I started developing my voice a lot more. Up until the Master of Disguise record, which was the end of the ‘80s, I really didn’t even know how to sing. I was just kind of singing to save my life to be heard. For the most part, I didn’t have a clue how to do it, and then I kind of learned how to do it in the studio when we did the Master record. My voice started developing a lot more at that point, which really saved my career because if I would have continued to sing the way in the ‘80s, I would have lost interest, I think. That really blows my mind because I was curious if you took singing lessons as a kid. Lizzy: No, no. There was a woman out here in the ‘80s that did breathing lessons. She wasn’t a singer. She didn’t know how to play piano or anything, but she knew how breathe. I was running out of breath trying to sing all the stuff, and I knew I was hurting my throat touring that way. I went to her for a couple of times, and she taught me yoga breathing methods. And it’s stuff I still use today, which is really cool. I mean, it has nothing to do with singing, but it has everything to do with singing because it’s about breathing. You need to breathe and sing—it’s one of those things that if you can learn this breathing method, it helps you sing a lot easier, especially if you’re running around on stage or doing things where you’re preoccupied. You can breathe and sing without thinking twice about it. Would you say learning to sing throughout your career has been the most rewarding aspect of making music? Lizzy: It is. I mean, you develop your voice. You know, I don’t think a lot of people get to develop their voice. A lot of singers I see now focus on one singer that they like, and they copy that singer the best they can, and they come out singing and doing what they do. I think everyone does that. Then you find you develop your own voice. I’ve had so many years to develop my own voice that I’m able to be comfortable with it. When I open my mouth, my voice comes out the way that I hear it in my head, instead of it feeding through some other singer that I was trying to copy or something. I hear my voice now. I think it takes a while to hear your own voice and develop your own style. I’ve had the time to do that. I’m so comfortable now with what I do and how I do it that it’s effortless. And that’s what it should be. Now I’m going to shift gears a little bit, and ask you some fun questions. If you came across a crate full of records and could only take one for the rest of your life, what would your pick be? Lizzy: Probably Quadrophenia from The Who because it just has so much dimension. The lyrics are just so visual. There’s all sorts of cool things in there, so that would probably be the record. 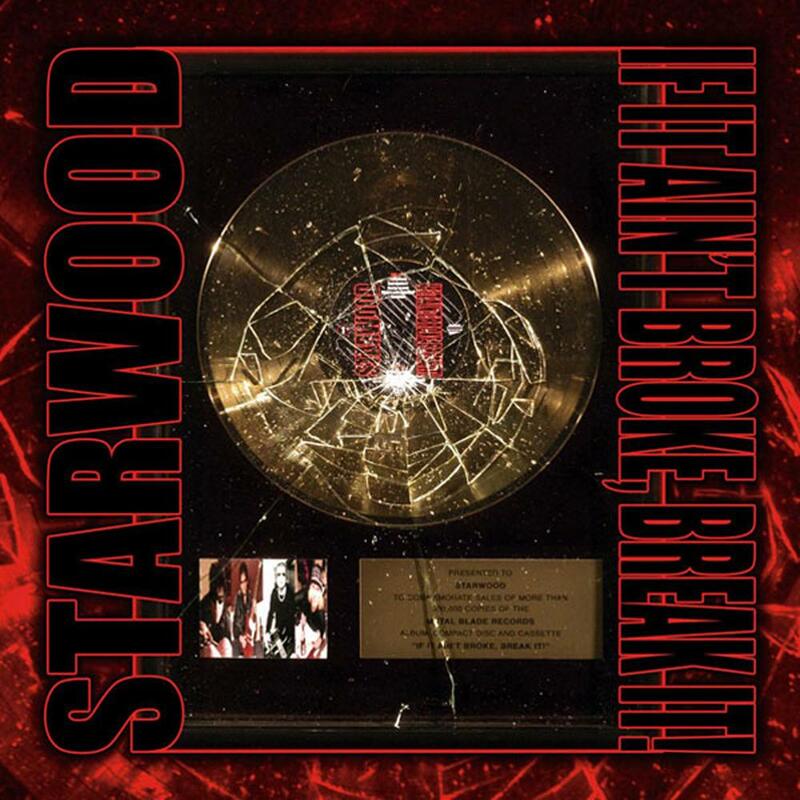 I’ve personally never had the opportunity to hear your work with Starwood. Could you talk about that? Lizzy: That was a time when the grunge movement moved in, and we were like, “Okay, now what do we do? We can release records that no one’s gonna care about, or we can do something else.” Like I said earlier, I loved the glitter rock of the ‘70s. To be that whole movement was amazng. I kind of wanted to emulate some of that stuff, like early Kiss and Cheap Trick. A lot of those bands happened to come out of either London or Manhattan. That was our idea behind that—just to have some fun writing these three minute songs. I got to play guitar on stage. There were no theatrics. It was just all about rock songs and having fun that way. We went to Japan, and we had a blast with it. We actually recorded a second Starwood record that needs to be mixed, and I think I have a couple backing vocals to put on it. 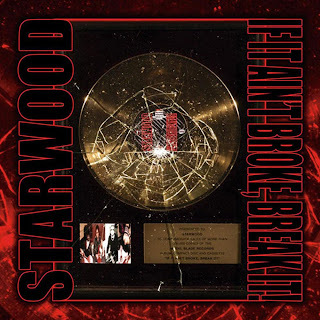 But we finshed it years ago, and it’s been sitting there—the finished Starwood record is sitting somewhere on a harddrive. There’s just no point in releasing it when there is no marketing behind it. Like I said earlier, I’m not gonna release anything that doesn’t have the proper marketing because it’s a waste of time. Who has been your favorite band to share stage with throughout your career? Lizzy: Oh, man. Well, we haven’t done that much. Most people never took us on tour. We never had “that” opening slot. We opened up for Cooper twice, and his crew was really great to us. They moved the whole show back so we could have our room, and it was great. We did a stint with Motörhead early on, and they were great to us, too. 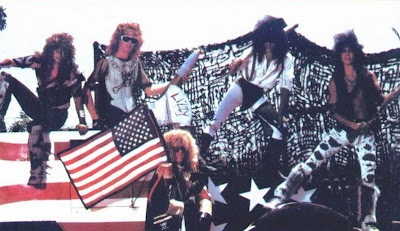 But for me, the most fun was probably about three or four years ago we did a west coast run with W.A.S.P.. Every night it was the same thing. Someone would come out and say, “Blackie wants you to play longer.” No one ever says to you. “Get the hell off the stage!” Every night we got to play as long as we wanted, really. The fan base was very similar. It was one of those things were the audience loved both bands, which is always great. But we really haven’t done a lot of opening slots. I wish we would; we’re always open to it. Those packaged tours like that don’t come around that much. If they do, it’s just the two top-tier bands and that’s it. Do you prefer arenas or clubs? Lizzy: I like big arenas and festivals. I love to play to as many people as possible. I’m more comfotable in front of more people. The intimate shows are the ones that are hard for me because I can’t shift into another gear and say, “Well, this is a club. We’re not gonna give our all because there’s not enough stage room, and we’re just gonna stand there and play.” I just can’t do that. I still play clubs like I’m playing festivals because if I don’t, I’m shortchanging the fans that are there at the club. It makes it very difficult to play on a small stage and do what we do. That’s why I like to play the biggest stages that we possibly can and to as many people as I can. You’re big on theatrics. Does that describe your personality? Lizzy: Every album that I’ve done I’ve created a main character, and that character would be the driving force behind whatever theatrics we’re doing at the time. That’s how that came about. It had nothing to do with my own personality. I’m just doing it as a writer, you know? I’m writing a secne, and then creating that scene during the duration of a song. It has very little to do with my own personality. Where is your favorite place to tour? Lizzy: Well, we’ve spent most of the last seven years in Europe. We didn’t do a lot of that in the ‘80s. We spent of the time touring round and round and round in the States and Japan. To be able to play Europe as much as we have in the last seven years is just so fun for us. One day we’re in one country, the next day we’re in another country. To see so many different changes in just a few miles of a border just blows your mind as an American, esepcially someone from California. The way we tour, we don’t come in as tourists. We wanna know what the culture is, we wanna eat what you eat, we wanna drink what you drink, we wanna be involved—so we really embrace the whole culture of whatever country we’re in. There are some countries I like more than others, but I love all of Europe and touring there. You’re basically living the dream! Lizzy: Well, I mean, some people don’t like it. I’ve talked to a lot of people who much prefer to stay in the States. And I love touring the States. We’re in the middle of such a weird thing right now wth the music industry and the way things are, so it’s harder for us to tour the States than it is for us to tour Europe. It’s kind of completely reversed on us. But I’m happy about it—it’s fun. We’re still trying to figure out a way to be able to play here as much as we can, and that’s the way we’re doing it with this 30th Anniversary tour. You’re mainly sticking to Europe now, as opposed to touring in the States. Do you feel metal and rock is more popular in Europe? Do you see a shift in the music? Lizzy: It’s really hard to even undestand for us, esepcially. We don’t really have a fan base here in the States anymore. Our ‘80s fan base will not come out to see the shows and won’t buy the records. And I’m thinking, “Okay, they’re just done.” But then Iron Maiden will come through town, and all the ‘80s fans will—and people that were around in the ‘80s—come out to see the show. I know they’re still there, and I know they still like music. 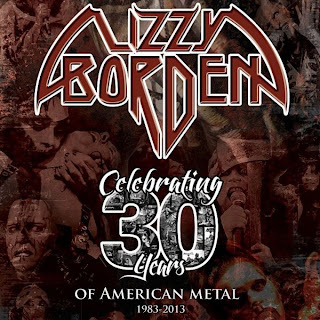 I’m thinking maybe they don’t know because there’s no marketing for Lizzy Borden, so they don’t know that we’re still even active. They don’t even know anything about it. It’s only thing I can think of. I thought they weren’t there anymore, and they just didn’t want to come out. But they do come out for some bands. They’re just not coming out for us. So, we concentrated on trying to get a younger fan base and get the younger fans involved in what we’re doing. It’s worked—we went around and did a tour with Lordi, which is a monster band from Finland. 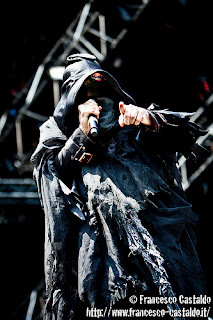 They wear monster make-up and everthing, and all their fans were like 16-year-olds. They loved us. It was such a fun tour, to be able to play in front of kids. Everbody in the first 10 rows—all young. After that, it just gets older and older and older. In Europe, it’s transcended generations from the ‘80s up until now. They’ve all gravitated towards this music, but the U.S. is different. They have their own bands, own style, and own sound. But they didn’t follow what their mother and father liked. They like their own music, so it’s harder to get a youger fan base. But every time we do play infront of younger kids in the U.S. they love us because we’re different than a lot of the other ‘80s bands who are still touring. I’m a 22-year-old college student, but I’ve listening to your music since I was a kid, so I suppose I fit into that younger fan base. Lizzy: You’re a fan and you’re that young—that’s what it’s all about. That’s what we’re trying to do. Every time we play a place in front of a younger fan base, they love us. It’s one of those things that’s gratifying for me because it does transcend generations, and that’s what I was always hoping for. I didn’t want to be a nostalgia band. I didn’t wanna just cater to my audience. I wanted to be able to get the younger fans to actually go, “Wow, I don’t know what my own generation is doing—and I like some of it—but I really love this band!” So that’s what we’re hoping for. Any last words you'd like to throw out there? Lizzy: Come out and see us. The 30th Anniversary is an interesting show for us. Like I said, I’m not really into nostalgia, but this show definitely caters to the very beginning all the way to what we’re doing now. 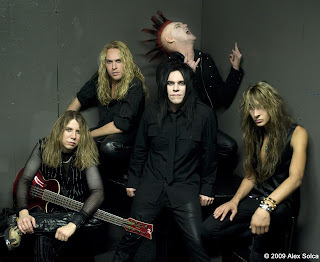 We didn’t stop in any genre or any era of Lizzy Borden. At 30 years, we go back and forth between all the years we’ve been doing it. If you’re an early fan, you’re going to hear a couple songs, but it’s not gonna be catered to that. We play at least one or two songs off each record. That’s kind of what the 30th Anniversary is about. I’m celebrating all 30 years, not just the early days. I think it’s gonna be a great show. We’ve put a lot of work into it so far, and it’s coming together really well. I think it’s going to be the most fun we’ve ever had doings shows. I can’t wait to get out there. We’re about three weeks from the first show, so we’re excited. Thanks, Mike! The excitement still lingers from interviewing Lizzy!